The Ultimate Mortgage Expo has a lot of strong sessions – from how to pump up your purchase mortgage business to how the new rules from Washington will affect you. Special: Both Fannie Mae and Freddie Mac are unveiling and doing hands-on demos for their brand new programs — Desktop Underwriter for Fannie and Loan Originator Suite from Freddie. You’ll find an agenda that’s got a terrific mix of compelling sessions. Add to that complimentary breakfast and lunch, and you’ve got a can’t-miss event for mortgage pros from throughout the region and across the country. Plus, there will be great networking opportunities, prizes throughout the conference, food and beverages, and the chance to win tons of prizes and giveaways! It’s a great time, and an amazing lineup of offerings to help you do more business and be the best mortgage professional you can be. And it’s all yours just by accepting our invitation. Remember, you can sign up now by clicking here and using our code, GOTUME. And you can see all that the Ultimate Mortgage Expo has to offer by going to www.ultimatemortgageexpo.com. But don’t wait! This code will expire on June 30. So register now! We look forward to seeing you at Booth 127 at the Ultimate Mortgage Expo in New Orleans, July 11-13! * Complimentary registrations available only to valid NMLS holders who are not industry vendors or service providers. Ultimate Mortgage Expo producers reserve final right to determine eligibility. And contact us and to coordinate a time to meet while you're at the event. Visit us at Booth B13. Register today for The Rocky Mountain Mortgage Lenders Expo, held at the Marriott Denver Tech Center on April 13, 2016. It's the region’s largest mortgage lending conference and expo. It includes educational programming, networking events, and an expo hall featuring wholesale and correspondent lenders, marketing and advertising firms, technology providers, and support services, just to name a few. This year’s Expo is expected to attract over 1,000 industry professionals including business owners, company executives, sales managers, loan originators, and operations and compliance staff. Visit with Got Appraisals at booth B13, and check out our wide range of appraisal solutions, including the revolutionary GotVal enhanced AVM's, and learn about the unparalleled level of service you get when Got Appraisals is your AMC partner. Just contact us and we'll coordinate a time to meet while you're at the event. MBA's Annual Convention & Expo 2015 is the country's largest gathering of real estate finance industry leaders and top performers. We'll be in attendance and available to discuss how Got Appraisals can help your mortgage operation excel in its valuation-related activities. Just contact us to coordinate a time to meet while you're at the event. NAMB National is the largest gathering of top mortgage originators in the U.S. and Got Appraisals will be in attendance! Don't miss the premier mortgage event in Florida - - the FAMP 2015 Convention! With exhibitors, networking, and fantastic breakout sessions on how to improve your business: Loan officer comp, how to earn more, marketing services agreements, an FHA/HUD update, TRID compliance, social media strategies, prospecting strategies, and much, more! This convention will be a gold mine of value for all attendees. On top of that, it's in Orlando - - with all of the entertainment options you can imagine: DisneyWorld, SeaWorld, Universal Orlando, Epcot, and more! Got Appraisals will be exhibiting - - meet us in the Exhibit Hall at Booth 707! We'll be available to discuss how Got Appraisals can help your mortgage operation excel in its valuation-related activities. Stop on by! 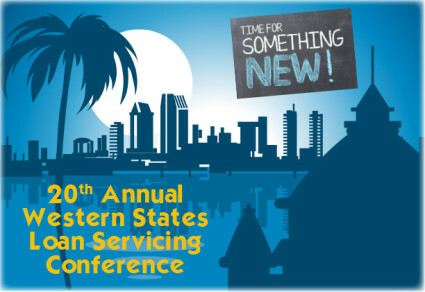 Don't miss the 20th Annual Western States Loan Servicing Conference in San Diego, August 2-4, 2015. 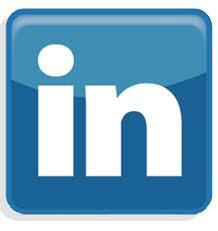 Get the latest industry information, best practices, vendor relationships, contacts, and more. Get great insights at the Panel of Servicers, network with industry colleagues, learn how to build your own servicing book (with moderator Nick Roberson of Got Appraisals! ), and get the latest on Enforcement Actions and Legal Trends. Plus much, much more! Got Appraisals is a Gold Event Sponsor and will be available in the Exhibit Hall at Booth 18! Meet CEO Jody Reid and the team from Got Appraisals, and discuss how Got Appraisals can help your mortgage operation excel in its valuation-related activities. 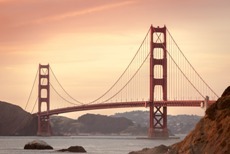 Don't miss the 43rd Annual Western Secondary Market Conference in San Francisco, July 8-10, 2015. Sessions on timely topics and presentations from CEO's and top execs on where the market is heading in 2015 and beyond. Position yourself and your team for long-term success. Event Gold Sponsor Got Appraisals will be there! Meet CEO Jody Reid and the team from Got Appraisals, and discuss how Got Appraisals can help your mortgage operation excel in its valuation-related activities. Be sure to stop by the Got Appraisals exhibit booth! Join Gold Sponsor Got Appraisals and the best in the business at a top-tier event specifically designed for mortgage origination pros. This conference will make you a better originator. Hear from top industry leaders and panels of experienced mortgage pros. Share with your peers, and learn the latest best practices. Register today for this exciting, educational, and fun expo, designed specifically to bring you more business! Going? Meet with us at the event. Register today for MBA's National Secondary Market Conference & Expo 2015 to get the latest intelligence on the critical developments that affect your bottom line. Hear from industry heavyweights, financial leaders and government officials who can help you maneuver through the complex maze of today's markets. Visit us at Booth #3. Register today for Texas Mortgage Bankers Association 99th Annual Convention, at the Hyatt Regency Hill Country Resort and Spa in San Antonio, TX on May 3-5. Join Got Appraisals at this sellout event! Great speakers, dozens of exhibitors, and a series of events not to be missed! And the best part is that you'll get to spend time with Got Appraisals and learn more about our many appraisal solutions, including the revolutionary GotVal enhanced AVM's. You'll also meet the people behind the the unparalleled level of service you get when Got Appraisals is your AMC partner. Visit us at Booth B18. Register today for The Rocky Mountain Mortgage Lenders Expo, held at the Marriott Denver Tech Center on April 9, 2015. It's the region’s largest mortgage lending conference and expo. It includes educational programming, networking events, and an expo hall featuring wholesale and correspondent lenders, marketing and advertising firms, technology providers, and support services, just to name a few. This year’s Expo is expected to attract over 1,000 industry professionals including business owners, company executives, sales managers, loan originators, and operations and compliance staff. Visit with Got Appraisals at booth B18, and check out our wide range of appraisal solutions, including the revolutionary GotVal enhanced AVM's, and learn about the unparalleled level of service you get when Got Appraisals is your AMC partner. April 2: Texas Mortgage Roundup! 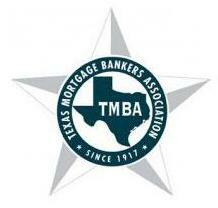 Register today for the Lone Star State's top gathering for mortgage professionals. On April 2, Got Appraisals is sponsoring the Texas Mortgage Roundup, at the Hyatt Regency San Antonio. Don't miss this exciting, educational, and fun event designed especially for all mortgage professionals throughout the region. Enjoy a great location, multiple educational sessions, top speakers, and more! Got Appraisals will be on site, and we'd love to connect with you! If you haven't checked out our wide range of appraisal solutions, including the revolutionary GotVal enhanced AVM's, or if you haven't experienced the unparalleled level of service you get when Got Appraisals is your AMC partner, well, you just haven't lived. But we can solve that. Just contact us and we'll coordinate a time to meet while you're at the event. Register today for the East Bay's most attended mortgage event! Meet with exhibitors - Lender , Appraisers, new Software tools, credit, and more! PLUS speakers: Kitty Cole -Breaking the Barrier; James Claret, on "So… how does credit reporting and scoring REALLY work", and manage your online presence with a Yelp specialist. Presented by the Mortgage Bankers Association and the California Mortgage Bankers Association, and Sponsored by Got Appraisals. Register today for comprehensive residential mortgage training through MBA Education's signature School of Mortgage Banking (SOMB) course. Course I emphasizes the interrelated roles of the departments within a residential mortgage banking firm, and the relationships of the various institutions and agencies throughout the industry. real estate law and regulation and real estate mathematics. Earn 15 points towards Certified Mortgage Banker (CMB) designation or the Accredited Mortgage Professional designation (AMP). February 11, 6-9pm: California Association of Mortgage Professionals East Bay CRAB FEED! Got Appraisals is proud to sponsor the East Bay CAMP Crab Feed 2015! It's CAMP's second annual Crab Feed, featuring Captain Bob. Fresh, piping hot crab, served up Mardi Gras style with pasta and all the trimmings. Wine & Beer available. Bring your family, your friends and your referral partners - music, raffle prizes, food, food and more food! Live Music from OPM - dance to music from the 60's, 70's, 80's and classic rock! Auction items and ticket sales benefit Mt Diablo High School Leadership Program. Visit with the great folks from Got Appraisals while you're there! Get Crackin'! Click for more info and register at: Register here! Join Got Appraisals at BOOTH 302 in Universal City, CA, at the event that showcases the products, companies, marketing, and networking that is necessary to succeed in today's mortgage industry! Hear from industry experts about the changes happening within the today's market and economy. Learn what impacts these changes will have on your business and your clients. Through these presentations you will find confidence in knowing what the future holds and what direction the mortgage industry is heading. Gain insight on how to expand your professional network and build working relationships with real estate agents and other service providers. Take part in amazing presentations that will provide you with great insight into what is working or not working for fellow brokers and LOs. You will be motivated to find your success! Visit Got Appraisals at Booth 302. Get more info and register at: Register here! September 13-14: As always, Got Appraisals is a proud sponsor of NAMB National, with the 2014 Event being held at the Luxor in Las Vegas! NAMB National is the largest gathering of top mortgage originators in the U.S. And for 2014, those peak performers are gathering at the Luxor resort and hotel in Las Vegas this weekend, September 13-15. The event is going to be bigger and more exciting than ever! Thousands of attendees will be exploring the biggest issues facing the mortgage community. With a packed exhibit hall, attendees also get to shop for great services, products and support -- wholesalers, appraisal companies, compliance support, marketing technology and much more. Educational sessions will be loaded with useful, hands-on information, advice and strategies to help attendees hit the highest goals and meet the strictest standards. Be sure to stop by Booth 320 -- we are looking forward to seeing YOU there! 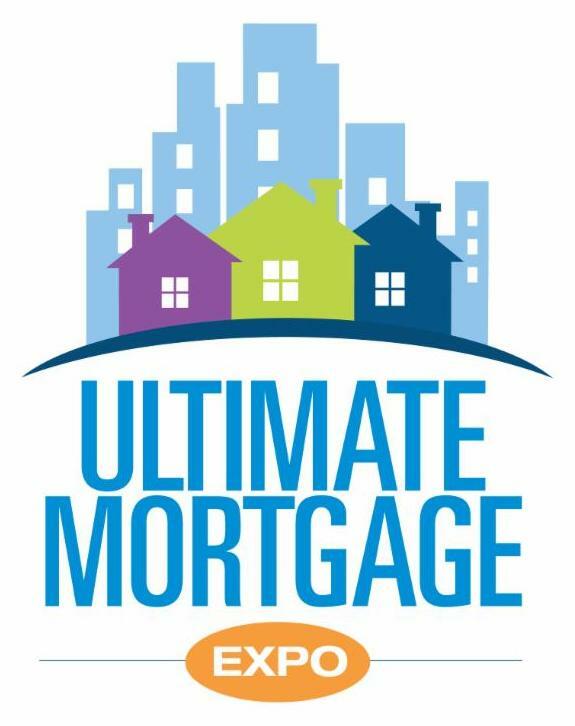 July 7-9: Once again, Got Appraisals is a proud sponsor of the Ultimate Mortgage Expo 2014, to be held this year in New Orleans! Get a free guest registration, courtesy of Got Appraisals. Just enter code GOTUME at registration before June 20. Top Speakers. Amazing Exhibitors. The Best in Networking. And all waiting for mortgage professionals July 7-9 at the famous Hotel Monteleone in New Orleans. Join us at this incredible event! The Texas Mortgage Roundup has a lot of strong sessions – from how to pump up your purchase mortgage business to how the new rules from Washington will affect you. You’ll find an agenda that’s got a terrific mix of compelling sessions. 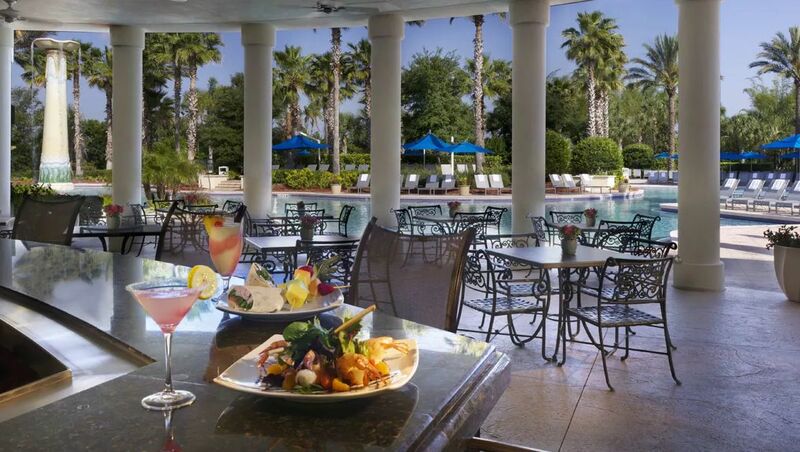 Add to that complimentary breakfast and lunch, and you’ve got a can’t-miss event for mortgage pros from throughout the Lone Star State. Plus, there will be great networking opportunities, prizes throughout the conference, food and beverages, and the chance to win tons of prizes and giveaways! It’s a great time, and an amazing lineup of offerings to help you do more business and be the best mortgage professional you can be. And it’s all yours just by accepting our invitation. Remember, you can sign up now by clicking here and using our code, GOTTXRDP. 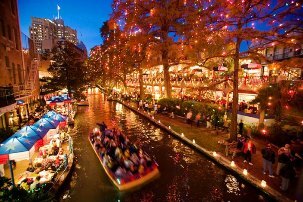 And you can see all that the Texas Mortgage Roundup has to offer by going to www.txmortgageroundup.com. But don’t wait! This code will expire on April 11. So register now! We look forward to seeing you at the Texas Mortgage Roundup on Friday, April 25! * Complimentary registrations available only to valid NMLS holders who are not industry vendors or service providers. Texas Mortgage Roundup producers reserve final right to determine eligibility. Join Got Appraisals in Long Beach at the event everyone has been waiting for! Visit Got Appraisals at Booth 36. Start the New Year off strong! 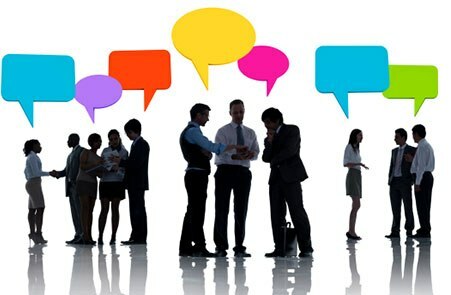 Join us at the CMBA Tri-Valley After Hours Networking Event on January 16 (yes, that's 2014). Hosted by Got Appraisals. 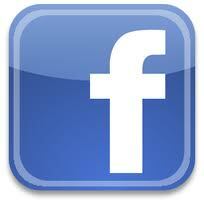 5000 Executive Parkway, Suite 520, San Ramon, CA, 94583. 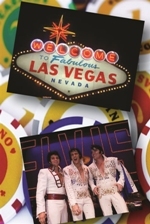 Join Silver Sponsor Got Appraisals and "boots on the ground" appraisers from around the country in Las Vegas on Oct. 30-Nov. 1 at the Planet Hollywood Resort and Casino. Appraisers interested in the future of the appraisal profession will be updated on legislative activities at the state and national level as well as the future of appraisal technology. Sessions will preview what appraisers must do to be competitive in the new environment and life after Dodd-Frank. Enjoy up to 14 hours CE, networking, and loads of great information. This is the most informative, comprehensive appraisal conference of the year! Get more info here! October 19-21: Meet us at booth 303 at NAMB National 2013! Join Got Appraisals at this year's NAMB National event, October 19-21 at Harrah's Las Vegas. Be sure to stop by our booth and find out how Got Appraisals sets the bar in appraisal management. Check out our new GotVal and GotVal Plus interactive enhanced AVMs. And see what all the buzz is about! August 4-6: Meet with Got Appraisals at the 2013 Western States Loan Servicing Conference. Get to know the full-service Appraisal Management Company that understands the unique needs of loan servicers. Got Appraisals will be exhibiting its new products at this year's Western States Loan Servicing Conference, at the Encore at the Wynn Las Vegas, on August 4-6. Find out how Got Appraisals offers much more than just appraisal management. Check out our new GotVal and GotVal Plus interactive enhanced AVMs. And much, much more! Learn how Got Appraisals can support your loan servicing business during 2013 and beyond! 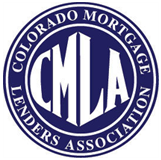 Visit the CMBA's Western States Loan Servicing Conference web site. 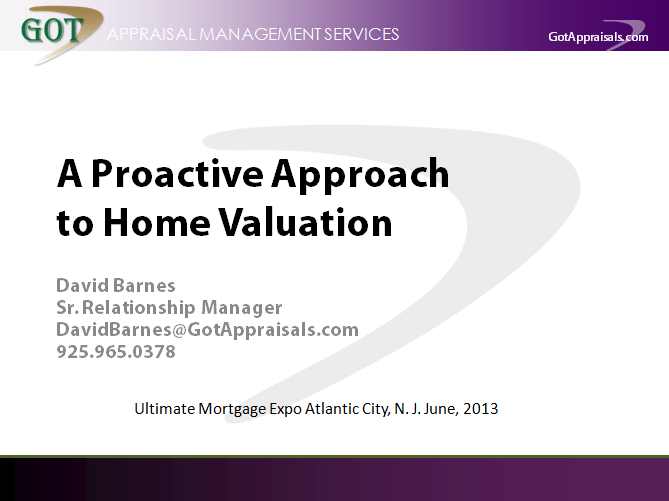 June 9-11: Got Appraisals is a proud sponsor of the Ultimate Mortgage Expo 2013! Top Speakers. Amazing Exhibitors. The Best in Networking. 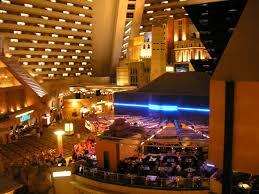 And all waiting for mortgage professionals June 9-11 at the incredible Tropicana Resort & Casino in Atlantic City. Join us at this incredible event! This year, Got Appraisals is pleased to announce that it will be holding one of the Concurrent Hands-On Sessions, on Monday June 9 at 3:45pm-4:30pm, in the Sandcastle Room. It will be presented by Got Appraisals' own David Barnes, Senior Relationship Manager. Don’t be caught off guard when it comes to appraised value. In today’s market, the relationship you have with your borrowers and Realtors can thrive or die with the appraisal. Be the expert when it comes to structuring your deals for a quick close. Don’t let the value ruin your deal. Prepare yourself and your borrower for what to expect when it comes to home valuation.